Home > Electronics > Other - Electronics > Blackpad Release Date & Price? BlackBerry maker Research In Motion is coming out with a tablet — unofficially dubbed the “BlackPad” by some in the company. The Blackpad is supposed to compete with Apple's iPad. The BlackPad is a 7-inch tablet device that has an entirely new operating system. Does anyone have any information about the price of the BlackPad? What about the release date? 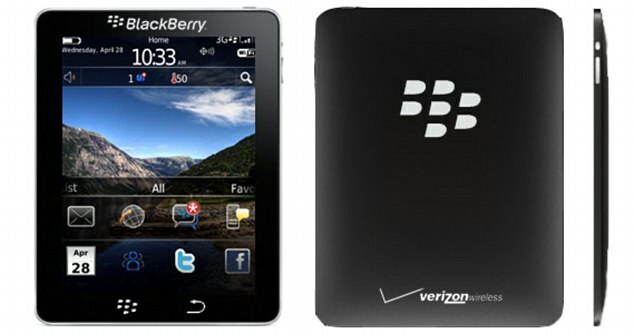 The BlackPad may be announced during RIM's Blackberry Developer Conference that starts Monday, I hope they release it soon. It’s a no-brainer for RIM to introduce a tablet, given the success of Apple’s iPad. About the release date, RIM could unveil its answer to Apple’s iPad as early as next week. Research In Motion’s tablet device is expected to have a 7-inch touchscreen, up to two cameras, and the usual bells and whistles such as Bluetooth and broadband connectivity. A picture of the Blackpad's design. RIM is desperate to shore up its position as it finds its market share being eroded by the smartphones running Google’s Android system and the continuing success of the iPhone. There is no information about the BlackPad's price yet. Research in Motion needs to amaze people with affordability, or otherwise think about package deals with Blackberry phones to encourage early growth and interest in the platform. The Blackpad's price will be similar to the cost of the iPad. Similar Threads for: Blackpad Release Date & Price? iPhone 4 Release Date & Price? Microsoft Kin Phone Price & Release Date?